McMonagle Marble & Granite is an Irish-owned company which has been in operation since 1976. Based in Mountcharles, Co Donegal, McMonagles has become a leading provider of all Quartz, Marble & Granite Products, we also provide an extensive range of quality fireplaces including bespoke one off pieces. Our service is divided into 2 areas, Commercial & Residential. 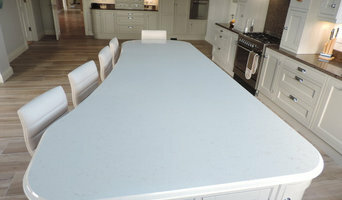 To the residential customer we provide Kitchen worktops, Bathroom Vanities, Fireplaces, Custom Made Hearths, Mantles. To the Commercial Customer we provide, Shopfronts, Exterior Cladding, Bar Counters, Service Areas, Reception Desks, Bathroom Vanities, Fireplaces. Our manufacturing facility uses the most up-to-date in cutting-edge technology to bring you the latest contemporary and modern designs. Call us on 074 9735085 for your free quote or check out www.mcmonagles.ie Our extensive showroom is open to the public where you can discuss any upcoming projects with a member of staff. As our business has grown, we understand more than ever the importance of maintaining high quality craftsmanship and a unique customer service that has brought us to where we are today. Irish Interior Designer Carol Reddin offers an extensive range of services to both the private & commercial sector. Understated glamour, the combination of several periods of design blended with the creation of comfortable spaces are the foundation of Carol’s style. Her inspiration comes from art, fashion, antiques & nature as well as regular travel to Europe, Asia and the USA, all culminating in a broad & diverse perspective of unique design ideas. Vision Interiors is an interior design firm based in County Sligo, run by Linda Moffitt. The interior design process allows us to create an interior for you that you are proud to call your own. A place you can feel comfortable and content if it is your home and/or a welcome environment if it is your commercial space. With over 20 years experience in commercial and residential interior design Linda worked in Dublin before establishing her own interior design business in Sligo. "Each job is different and each client is unique. Therefore we aim to meet those needs as we work together." House Edit is the definitive online interiors & lifestyle sourcing guide, which uniquely offers readers shoppable content. Founded by Interior Architects Claire Price & Elaine Regan, House Edit offers the very best in design inspiration.expert advice and the hottest new high street brands. These two closely related professions are often mistaken for the same thing, however there are some significant differences to be aware of before deciding which to hire. An interior designer, sometimes known as an interiors architect, can run full renovation and structural design projects, and will use specialised knowledge of interior architecture, construction systems and components, building regulations, materials and furnishings to arrive at your dream home design. Interior design companies are able to plan spaces and room functions down to the last detail, and can help design and renovate interiors, from initial planning phases to placing the last decorative accessory. A decorator on the other hand will typically be involved only in the aesthetic layer, the “look and feel” of a space, and won’t be able to assist in renovations that require structural work. Interior decorators normally come on board after all structural work is complete. So choose your Sligo interior designer according to the type of work you need. Why should I hire an interior designer in Sligo? They say life is what happens while you’re busy making plans. Some of us are just too preoccupied with a career and/or family to think about colour schemes, wallpaper, flooring and lighting. A professional interior designer in Sligo can save you bags of time, stress and months, if not years, of living in a half-finished home. It’s their job to stay on top of the latest trends and to have contacts and visual references coming out of their ears. Interior designers and decorators can also save you money, sourcing products via trade contacts or offering affordable alternatives to blowout iconic designs. 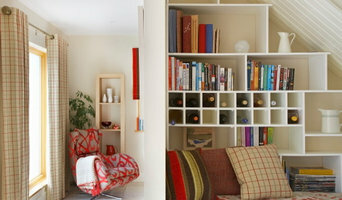 How do I choose the right Sligo interior designer for my home? Good design and visual inspiration are all around us. Start by searching for interior architects and interior designers in Sligo on Houzz. Keep a lookout for images of rooms and features that you really like and save them to your Ideabooks to begin to develop an understanding of your own style and taste. If you notice that photos from the same interior design companies are popping up regularly then that is a good hint that they could be your perfect design match. You can feel most confident if you hire an interior designer or interior design company in Sligo that has completed work similar to the look and feel that you desire, whether that is a mix-and-match lounge oozing mid-century modern style, a pale and interesting minimalist bedroom with shots of colour, or a beautiful space inspired by Scandinavian design. How much does an interior designer in Sligo cost? What are some of the important questions to ask Sligo interior designers or interior decorators? Start searching for an interior design Sligo professional in your area who can bring life to your interiors and reinvent your home for you. Look through reviews, projects and ratings to decide on the best interior designer in Sligo for your taste and style.